Join us on Thursday, March 2, 2017 at the Capital Hotel for our third annual Innovations in Communications professional development event. The day begins with coffee and networking at 8:30 a.m. followed by a stellar line up of speakers participating in the energetic and inspiring Rapido form of rapid fire storytelling. At noon our event will conclude with the luncheon address by the Honourable Cathy Bennett, previous Organizational Communicator of the Year award winner, speaking about the challenges of communicating in a multiple channel social media universe. Doors open at 8:30 a.m. with Rapido beginning at 9:00 a.m. sharp! 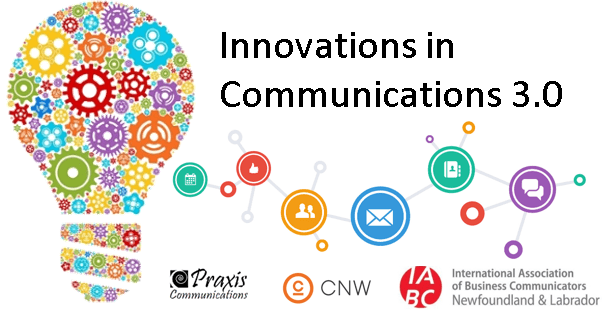 To register for Innovations in Communications 3.0, or to see our full list of Rapido presenters, please click here.